The U.S. Department of Education reported 2,102 fires that occurred in on-campus student housing facilities in 2014, across 708 campuses. There were 86,917 arrests and 49,870 reported criminal offenses across 11,611 campuses during the same year. Since 2013, there have been 185 school shootings, 83 of which took place on a college or university campus. Security directors, school officials, and students are rising up against the pattern of safety and security risks to stop the ‘normalization’ of campus security threats. To do this, they are turning to security technology. There is a three-pronged method commonly used in securing a college campus: mass communication, access control, and video surveillance. Due to the cross-functional use of a college campus (meaning some people are there to work, some for education, and some to live, in addition to working there or attending classes) security professionals, like members of the Electronic Security Association (ESA), deal with challenges that K-12 schools do not. Various school events, multiple buildings, and never truly being closed means notification systems, access management, and surveillance can take on unique responsibilities and roles in the pursuit of protecting people and property. Campuses across the country are gobbling up mass notification systems and technology like a freshman who goes home for winter break. Just put the food on the table and back away slowly. Officials and security experts know the most effective way to communicate with college students is through avenues these individuals are already using, such as SMS text alerts, email, and social media. School officials can distribute mass text messages and emails or post to school social media pages to update an entire student body at once. The smartphones that professors cringe at during a lecture become a lifeline in an emergency. Campuses are even able to convert their digital signs from displaying the weeks’ events to an emergency alert or safety instructions with the click of a button. The important aspect to consider when implementing or upgrading a mass notification system is the execution of the alert(s). Security professionals will caution and instruct you on product and system choices as this can affect the time to complete the notification process. Products that are made by different brands or manufacturers may be proprietary. Each avenue (SMS text alerts, social media, email, etc.) could require a separate activation in the process. This can slow down the emergency message delivery. Merging each individual notification alert into a single portal can save precious time. This method allows school officials to send an emergency alert through multiple channels in one step as opposed to each channel requiring its own trigger. ESA member companies can guide you in the selection of a mass notification system that is right for your campus. It’s advanced security technology to the rescue! Just like we see in the security industry as a whole, the access management market is transitioning to safety and security methods that incorporate the ultra-connected world of IT. Many campuses use updated access control systems; a popular option is smart cards and readers. This technology allows for selective access which is distinctly applicable to a university campus. For example, a student not enrolled in any science-related course doesn’t need access to costly graduated cylinders in the chemistry lab. Smart card solutions can also transmit data such as who entered a building and at what time. This info can not only provide security information when needed but can track the movement of the campus community and allow the school to make adjustments as necessary. If there is a downward trend in students studying in the campus library as the week progresses, management can make adjustments to adjust hours of operation to save on electricity. Electronic forms of access management can also be used to grant access to computers, laundry machines, or to even check out audiovisual equipment from the photography department. These same scenarios cannot be duplicated by traditional lock and key without significant shortcomings. Physical keys are easily copied; locks easily picked. Access management systems can grant and deny access based on time or emergency situation, and be activated or deactivated with ease. Better yet. ESA member companies can integrate an access management system with video surveillance. Emerging technology in the world of video surveillance has opened the door to impressive security solutions that can have a dual purpose. In addition to monitoring rooms, hallways, streets, etc., intelligent IP video cameras have the capability to automatically turn off lights in unoccupied rooms and increase air conditioning when areas are highly occupied. 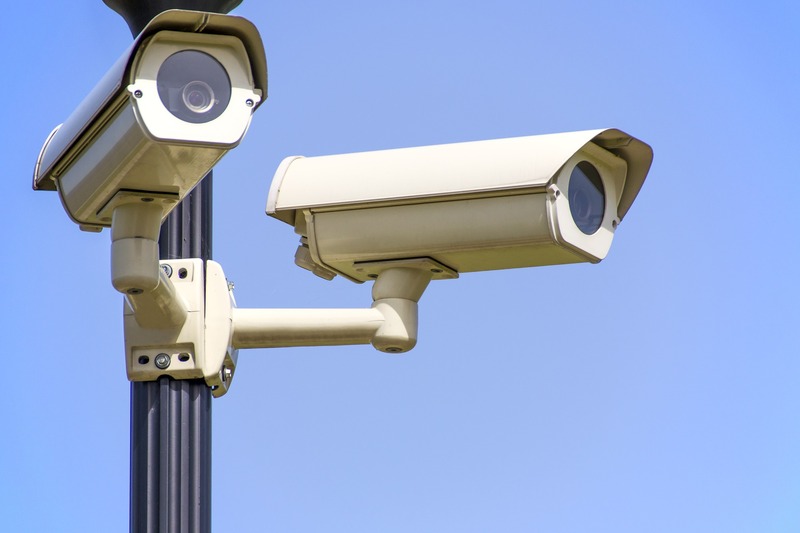 School officials, with the help of security professionals, can set up their systems to provide real-time streaming to police in the event of an emergency situation and take still-shot photos of intruders attempting to gain access. Sporting and social events are favorite pastimes of many college students; thermal cameras are ideal for these situations as they can operate with digital perimeters and show population concentrations regardless of poor lighting issues. Shady spaces under the bleachers are no longer unmonitored. Video surveillance can aid in insurance claims for property damage situations and provide proof when circumstances require it. Protecting thousands of students, faculty, and visitors every day is no easy feat, so why not let the evolving world of security technology lend you a hand? ESA member companies can help you design and implement a cross-function security system that is unique to your campus community.